all stalls for the 2019 market are now full. Please don’t send any further applications. for those who have applied, you will hear from us shortly if you haven’t already. I'm A PREVIOUS STALL HOLDER - HOW DO I RE-BOOK? Please note that the organising committee has decided to reduce the overall number of stalls to allow better access among other reasons. There has also been some movement of stalls. We will endeavour to locate you in the same position if possible but some stall holders may not be able to secure the same site as they may have held previously. I'M A NEW STALL HOLDER - HOW DO I BOOK? If you are a new stall holder, please download an application form. If you are a new stall holder - please do not pay for your stall until you have had confirmation from the organising committee. Please note that the organising committee may not be able to grant you a stall if your products are similar to existing stalls in order to maintain a healthy market mix. This is also the case with food and coffee as we only have limited number of such stalls on offer. WHAT DOES A STALL COST? Hall spots are 2 x standard trestle tables. CAN I GET A POWERED SITE? Powered sites are only at the discretion of the market organisers. Please contact us to discuss. For street stalls, set up is from 6am on Easter Saturday. You will not have vehicle access to your stall from 8am until the market closes. For Hall stalls, set up is on Good Friday from 3pm. Stall holder parking is available. All stall holders will be sent information about where to park closer to the date. 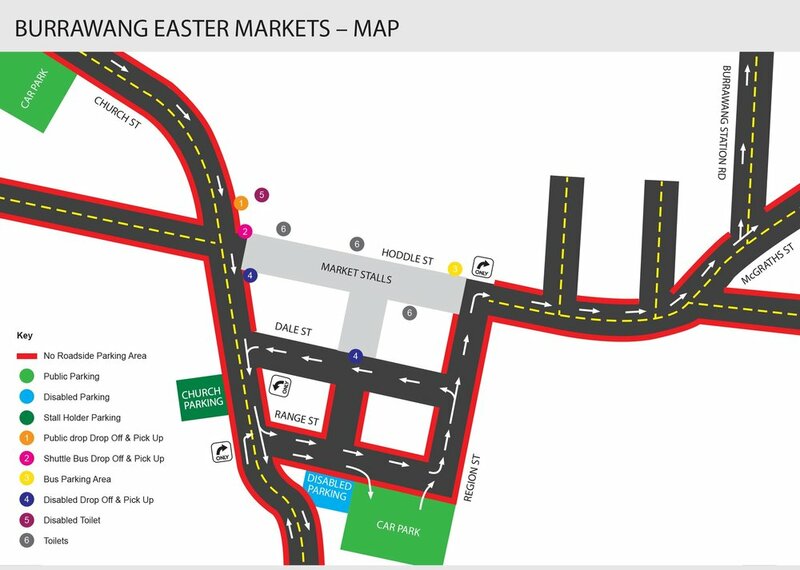 Please let us know if you have any questions about the Easter Market by using the form below.